Dallas-based Big in Japan's ShopSavvy app helps consumers find the best deals with their Android-based smartphone app. It is easier than ever for consumers to know if they're really getting a good deal. Dallas-based Big in Japan has just released a faster version of its ShopSavvy mobile phone application. To find the best deals, a shopper uses the camera on their smart phone to scan the barcode of the item they're considering buying. 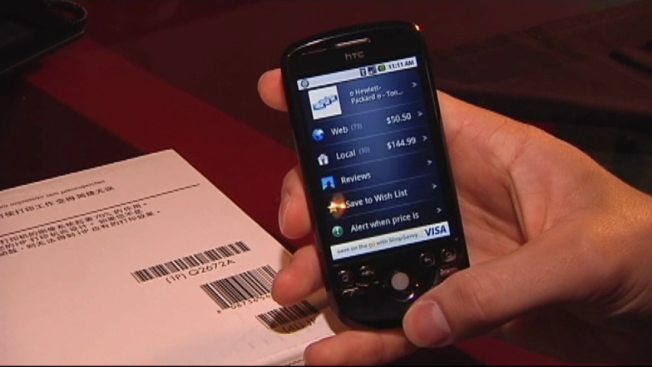 ShopSavvy then searches for the best prices on the item and sends the information back to the phone. "It finds all the best prices on the internet and at nearby stores," said ShopSavvy developer, Rylan Barnes. In just nine months, ShopSavvy has caught on fast. It now includes more than 20,000 retailers and 20 million products. Users make up to a million scans a day. ShopSavvy is currently available for Android-powered mobile phones. A version for Apple's iPhone should be available by mid-August. ShopSavvy is free to download.